 Enjoy a 7 night trip to the FORMULA 1 2019 SINGAPORE AIRLINES SINGAPORE GRAND PRIX with exclusive packages from just £1599 per person, taking in the Marina Bay Circuit which is, quite literally, electric! Since its launch in 2008 as the inaugural night race in the FORMULA 1 calendar, the GRAND PRIX in Singapore has fast become one of the most dramatic and atmospheric races on the calendar. The impressive Singapore skyline provides a spectacular backdrop to the race, whilst the incredible live entertainment and international headline acts included in your race ticket round off the weekend in style. 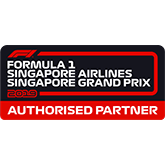 As an Authorised Partner of Singapore GP, we have a whole range of tickets and hospitality options on offer. The 2019 race takes place on 22 September 2019 and, as always, flights, hotel accommodation, FORMULA 1 tickets and return airport transfers are included in our packages and AGAIN FOR 2019 we are also including airport lounge access on departure to get your holiday off to a good start!  Rev into top gear with the FORMULA 1, and a 7 day Grand Prix package with Singapore surrounding it. Whether you’re Team Ferrari, Red Bull or Mercedes, get ready for some edge-of-your-seat action as the best racing teams take to the street circuit in the heart of Singapore’s downtown.